Every winter, the Western White Mountains and RiverWalk Resort at Loon Mountain transform its fall colors into a white winter wonderland. With the first dusting of snow, the RiverWalk Resort at Loon Mountain and its surrounding area turns into a winter wonderland. While most people come to the area to ski, the western White Mountains has many other winter activities to offer people and families of all ages. Come and discover why the western White Mountains are a true winter wonderland. There are plenty of places to ice skate in the western White Mountains, but you don’t have to go far to find the best one. It’s in our own backyard! During the winter months, our lagoon pool turns into a one-of-a-kind ice skating rink complete with a fire pit to help keep you warm. We also have a calendar full of fun events, like adult skating camp, ice shows, and Wine & Ice. Snow tubing is a popular winter activity that will surely bring a smile to any kid or kid-at-heart. The Loon Mountain Adventure Center has a dedicated snow tubing hill under the Little Sister chairlift that is open daily. 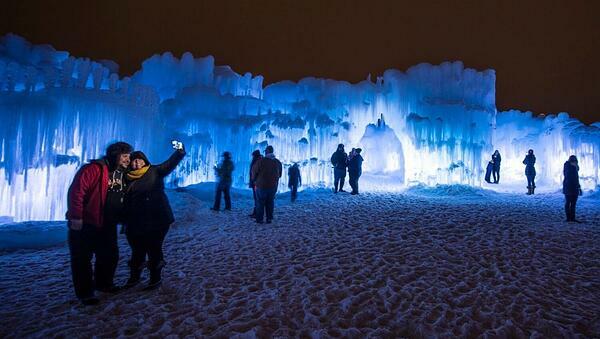 Live out your Frozen dreams by visiting the famous Ice Castle in Lincoln! Located at the Hobo Railroad, the Ice Castle is fun for all ages. Come explore the 25-foot tall ice fortress with tunnels, fountains, slides, towers, and tons of colorful lights. Whether you’re looking for a romantic date spot or a place for the kids to burn off some energy, the Lincoln Ice Castle is a unique winter experience. The East Ridge Trail System at the Loon Mountain Adventure Center has over 20 km of groomed cross-country skiing trails for beginners, intermediates, and advanced skiers. Bring your own or rent a pair and enjoy the quiet solitude of the Pemigewasset River and old logging roads. 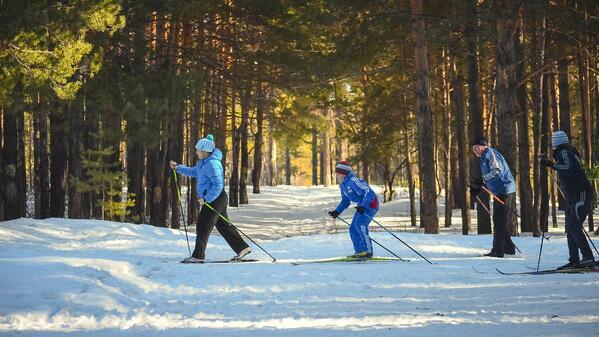 Serious cross-country skiers will love the 65 km of trails at the Franconia Village X-C Ski Center in Franconia. Their center offers full rentals and lessons if you want to perfect your skills. You’re in the heart of ski and snowboard country at the RiverWalk Resort in Lincoln, NH. Our shuttle will take you to and from Loon Mountain, where you can enjoy some of the best slopes in the White Mountains. 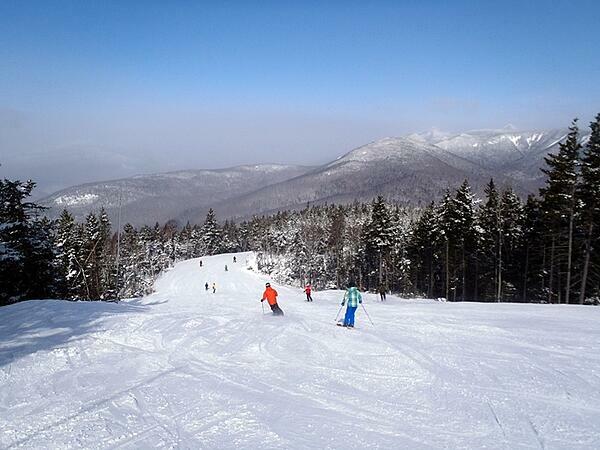 Nearby Cannon Mountain is home to New Hampshire’s highest ski mountain with a vertical drop of 2,180 feet. Bretton Woods, Waterville Valley, Cranmore, Attitash, and Wildcat are all within reach, so you’ll never get bored of the ski trails in the White Mountains!